Eleanor Roosevelt said this a long time ago, tempting me all these decades later to talk about it. These strengths and thoughts which have shaped the past and polished it further into the times we are witnessing today have led us into an era where we have become more dependent than ever on technology. The human mind, despite all its achievements, has still not come to a point where it says ‘this is it’. One of the reasons for this has also been explained in a study conducted by Ellen Galinsky where he asks children, “If you were granted one wish and you only have one wish that could change the way your mothers or fathers work affects your life, what would that wish be?” The most popular answer? They wished their parents were “less stressed and less tired”. According to the Webster Dictionary, ‘automation’ is a technique for making a process or system operate automatically, without the need for a human being to be there to control or operate it. Automation is not confined to a specific area of technology, rather it relates to a vast area. As a law student, the relation between automation and legal professionals and their work naturally fascinates me. To stay up-to-date and remain relevant in the race for professional development and progression, efficiency is crucial. Automation is one such process which is needed to achieve this efficiency and as such it is impossible to ignore it as it creeps into our work life one way or the other. Law is a vast field of expertise and requires a great deal of time and commitment. It can be challenging to navigate and maneuver manually, especially as it expands with each passing day. It is due to technology, thankfully, that certain tasks have been made easier and faster with time. For example, going through hundreds of documents, sifting for relevant information and then jotting it down would have been a mammoth task if not for the “click-of-a-button” efficiency of computers and the Internet. But how does it really benefit a law professional? A lawyer can save time by not spending long hours on documentation and instead use that time to look for other logical alternatives and solutions in a case, which will undoubtedly benefit the client as well as the court. Unnecessary delays can be avoided if a lawyer is not forced to put in requests for additional time owing to inefficiency. 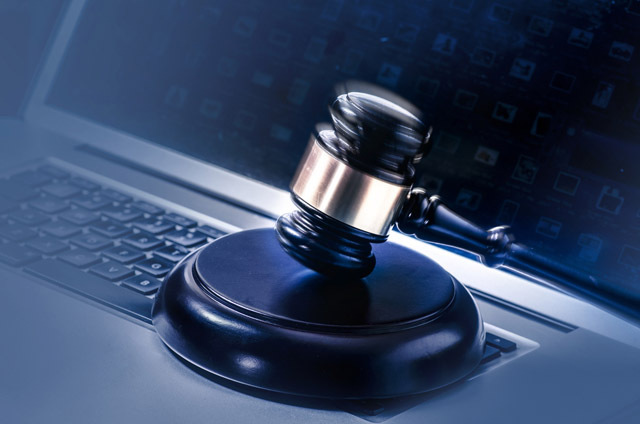 Additionally, valuable resources of the court and the client can be saved through the transfer of information electronically, reducing not only paper usage but also the time it takes for large data chunks to make their way back and forth between relevant parties. What makes clients trust you as their legal representative or counsel among other things is the belief that their personal information shall not be shared with a third-party and their sensitive details and facts will remain confidential and protected. Automation has certainly made this easier by way of encryption and password-protection of client files, ensuring that only authorized personnel can access them. This can further be supported by reflecting on the language used by the United States Senate Committee on Appropriations on 30th June, 2009, to support its report accompanying the bill, H. R. 2847 (Commerce, Justice, Science and Related Agencies Appropriations Act, 2010), emphasizing the importance of automation to industry. While automation may surely have its own imperfections, it still offers more controls and insight than manual control by human beings. Another issue in the legal profession which demands serious attention is that of long working hours. Employees around the world certainly appreciate the advent of automation, which was once nothing but a mere Sci-Fi dream. Consider the working style of Japan, for example, where nearly a quarter of Japanese companies require employees to work more than 80 hours of overtime per month and often don’t even pay them for these extra hours. Contrary to what may be expected, these long hours do not necessarily translate into higher productivity, as can be seen in the case of Japan which has the lowest productivity among G-7 nations, according to the OECD Compendium of Productivity Indicators. This overkill has led to many deaths in Japan – the term “karoshi” is used to refer to such cases. In the USA, on the other hand, a full time job requires 40 hours of work per week, however, the higher up the ladder you move, the longer you are expected to work beyond the standard 40 hours. Again, this can hardly be productive on the workers’ end. Automation should, no doubt, make things easier not only for the workforce but for the economy as a whole while achieving overall efficiency and saving costs. Automation, however, does not just make work-life easier, it also impacts other areas of life, such as giving workers the time to spend with their families, which is getting increasingly harder in this fast-paced life. Domestic issues relating to families getting distant and children experiencing emotional and mental setbacks due to parental neglect are commonplace stories nowadays. Researchers in China presented a study during an annual meeting of the Radiology Society of North America where they stated that children who had not gotten direct parental care or attention might have delayed brain development, and since children learned to deal with emotions by observing their parents, the parents’ absence could lead to tantrums or mental issues. On the other end of the spectrum, such pressing issues would also give lawmakers the opportunity to focus on making new policies or laws and make amendments to older ones. While we’re at it, why not facilitate those as well who want sound legal advice but cannot afford it due to hefty fees? Thanks to the automation of processes and services, such parties may be in a better position to avail legal advice as redundant costs of paper and administrative issues can be drastically reduced or even eliminated, and the savings can then be passed on to clients in the form of lower fees. The discussion above can also be supported by mentioning ROSS Intelligence which is used by a number of the world’s biggest law firms like Latham and Watkins. ROSS is an advanced legal research tool that leverages the power of artificial intelligence to make the research process more efficient and less expensive. It has the potential to track new developments in law and update the user with relevant legal updates concerning specified legal issues. Since it has the ability to extract quotes and key points of laws from multiple parts of a case, it can provide a quick overview of the key legal analysis discussed pertaining to the parts related to one’s query. It is therefore not adversely affecting anyone in any way or undermining the authenticity of legal work, rather just accelerating the workflow efficiently. Often when the legal profession is being discussed, the prison system is something which cannot be ignored because this is where a person tried and convicted under the law has to end up. Perhaps this is what requires constant and highly reliable monitoring, which can be made possible through software solutions for prison control centers. Prison-Secure is one such software solution which enables jail authorities, public safety departments and the government to securely manage prisoner identities. It is specifically designed to protect prisoner identities individually through machine learning/artificial intelligence, by way of detailed analytical calculations. Such biometric system based on artificial intelligence not only ensures the protection of officers and makes inspection easier for them, it also protects those in custody and ensures their safety from threats. This artificial intelligence tool has been given so much importance that the technology has been built under FBI, NIST, ANSI and ISO standard formats and developed to meet the vast needs of the present day by offering a variety of options to choose from according to the requirements of the identification process at hand, which includes recognition by face, finger print, finger vein, palm vein and iris to accurately identify each individual at different stages. With all the glorified work that has been done manually in older times, it does not mean that it has to continue the same way or that change and constant improvement is not needed. It is upon us to bring this change and let our hard work blossom towards a brighter future. There should be no need to worry about maternity leave, health insurance and sleep hours if automation and technology can assist the new future of work and open the doors to an easier work and home life! It is wrong to say that law professionals would become extinct. If anything, technology is trying to give them more time to be more productive and critically analyze their cases before appearing in court. A human being will always be needed for negotiations and in dealing with clients and understanding their needs – things which cannot be done through automation alone. We are still living in a world meant for human beings and not robots or machines. It is not a science fiction movie where machines take over humans with vengeance and force them into submission, or worse, extinction. Rest assured, lawyers are in no danger from automation and are definitely here to stay for the foreseeable future. The writer is a final year student of LLB (Hons) at BPP University. Judicial system of Pakistan no doubt needs an extensive reforms package. The trial process of Pakistan is very slow and old. It takes several decades for case to get solved. Due to all these problems, general public shows less interest in courts than in social process of justice.